Creative Craft Cottage is having a challenge sponsored by All Dressed Up. The theme: In The Garden. Hopefully spring is soon on the way! Here is my card using images from All Dressed Up. 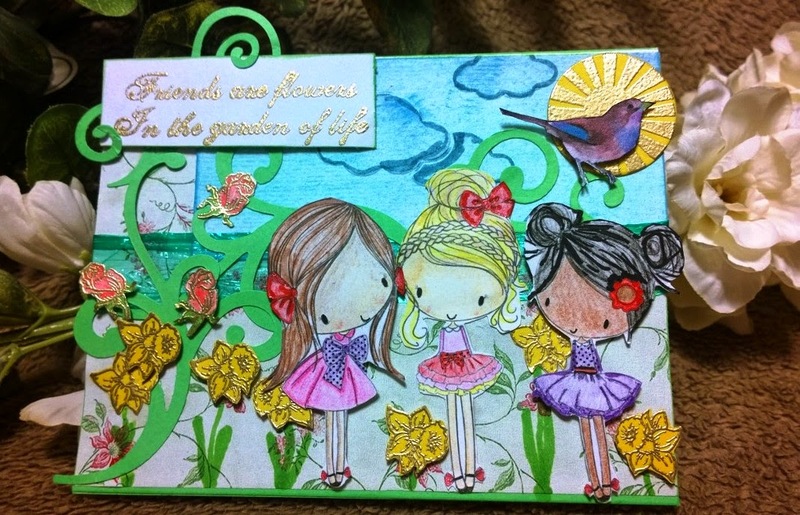 This one is called "Three Little Party Girls". I fussy cut each one out so you could see more of the background I created for them. 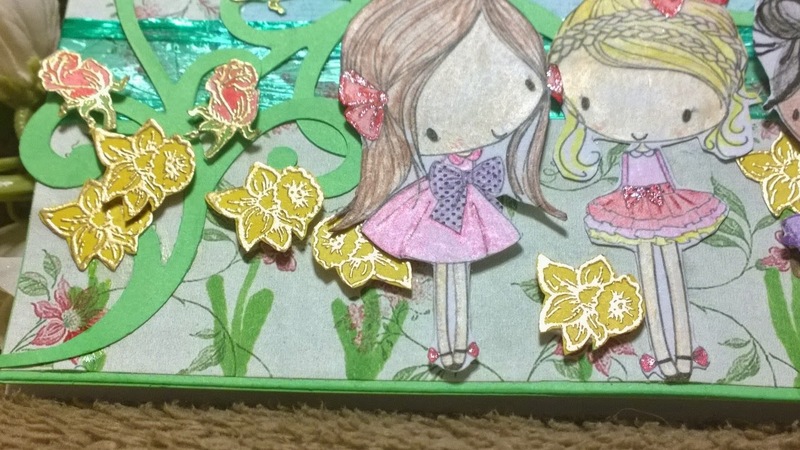 The daffodils and roses were gold embossed on colored paper and cut out. 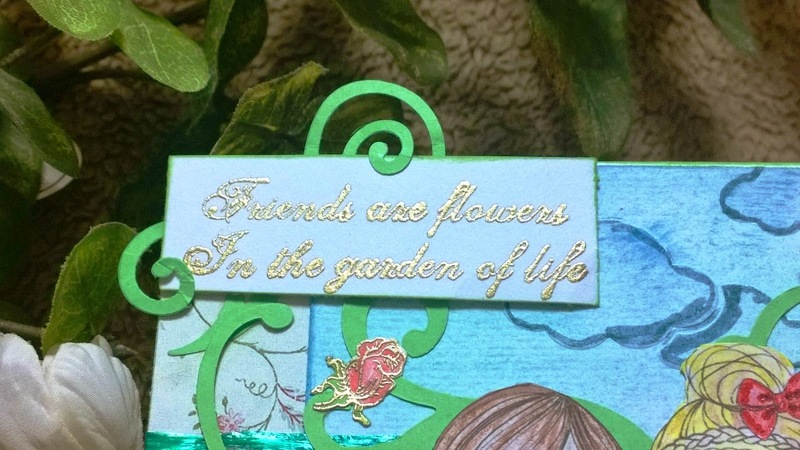 The sentiment reads, "Friends are flowers in the garden of life." It's from a TPC Studio stamp set and seemed perfect for this project. Rose & Daffodil wooden block stamps, given as gift, maker unknown.